Learn about some common phone repair tools and equipment can help to you repair damaged phones well. Repair tools are not very expensive, but for newbie, how to choose the right but economical tools can be a bit difficult. 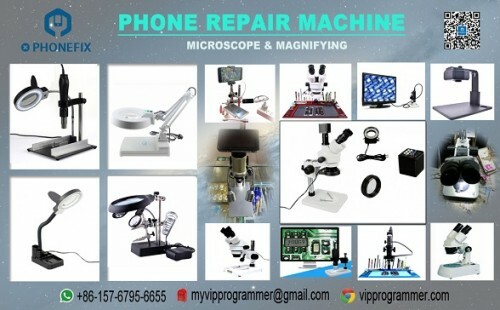 Learn to learn some professional phone repair knowledge will help you purchase more professional and practical tools. Next, the phonefix shop team will introduce you bout the DIY guide, and you could repair your phone at home. PCB board holder fixture is used to protect the motherboard IC during soldering or repair. It holds the PCB firmly and difficult to move, which helps with fix. Similarly, it is wise to choose a premium dual-clip universal PCB bracket fixture instead of cheaper one. Solder wire is used to solder electronic components, ICs or jumpers on phone boards. Most solder wire components are tin/lead, more and more companies use lead-free solders since the introduction of ROHS (Restriction of Hazardous Substances). Lead-free solder wire is available in a variety of compositions, but the most common component is tin/silver/copper at a ratio of 96.5:3.0:0.5. Solder wires have different diameters, such as 1.5mm, 0.3mm, 0.4mm, 0.5mm, 0.8mm, etc. For phone repair, 0.5mm solder wire is the most suitable one. SANKI solder wire has excellent oxidation resistance and corrosion ability, and has excellent desoldering properties. It is widely used in welding parts such as electrical and electronic, circuit boards, electronic equipment and other welding repair work. Regular DC (direct current) power supply provide DC current for iphone. Most service personnel use DC power to turn on iphone without a battery. Digital multimeters can check voltage, ohms, battery, continuity, etc. Reading with digital display. 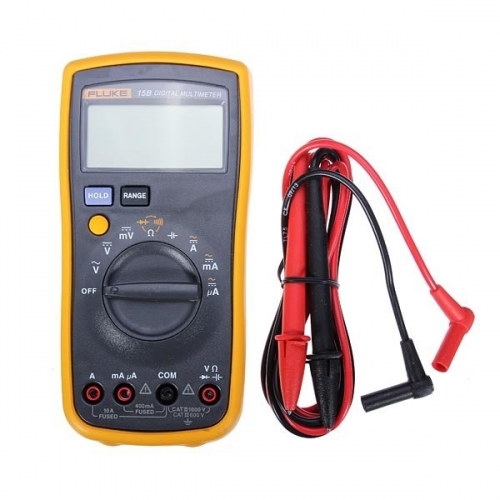 Fluke digital multimeter is a universal electronic multimeter for phone repair. It can read data whatever test any device or electronic component and it is the best tool for phone repair diagnostic. Multimeter has a wide range of use, such as test sound buzzer. - Connect the red test lead line to the “V?mA Jack” and the black lead “COM” jack. - Set “Range Switch” to the buzzer. - Connect the test leads to the two points you want to test. If the resistance is less than 100 ohms, there will be a buzzer sound, which means that the continuity is normal. These are some of the most common problems we face with in phone repairs. We know that smartphones are made up of many components, its construction is complex, so we can't guarantee what will happen next. If you encounter problems that we have not mentioned, you can try to contact us at www.vipprogrammer.com and we will try to propose a solution for you.